I am seeking suitable partner for my lovely sister. She has completed her Masters. An enthusiastic intelligent girl, she has good aesthetic sense and values incorporated. 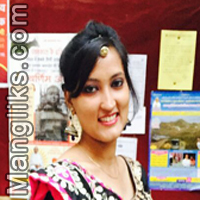 She has several interests like cooking, dancing, painting, gardening, mehandi, movies etc.